Do the drawers have stop mechansim? Yes, the drawers have both a pull and push stop mechanism and thus silent. 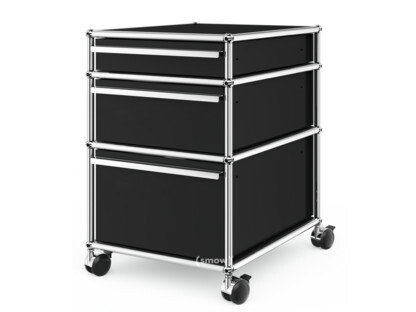 Is the internal storage tray included with the mobile cabinet? No, the internal storage tray is not included. If you require one it can be ordered here . Is it the mobile cabinet available in other depths? 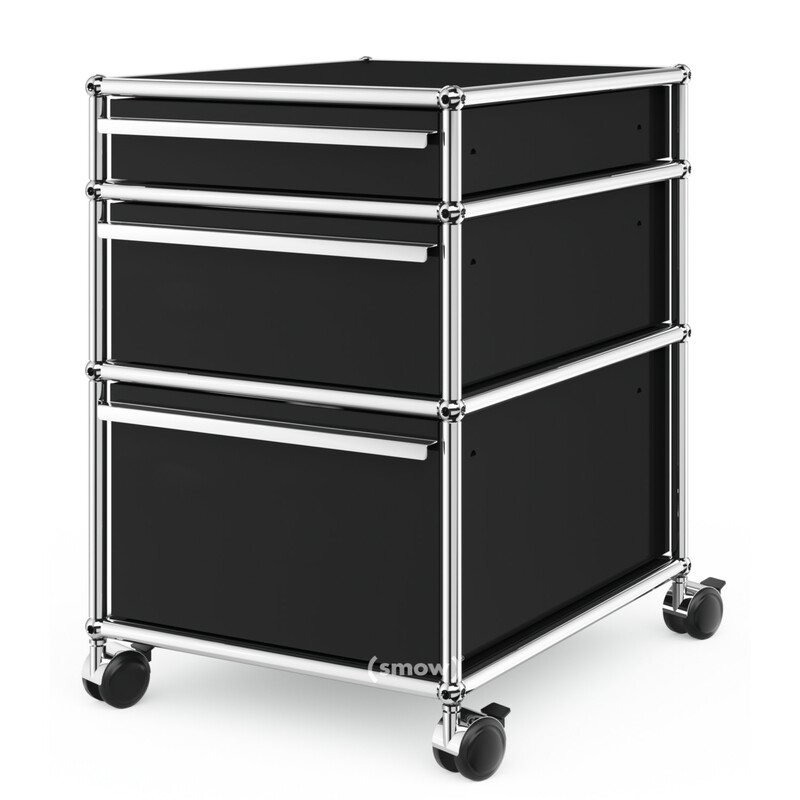 We can only offer the mobile cabinet in the 500 mm depth version as this is the only drawer depth offered by USM. Even when history will inevitably remember him as a furniture designer, Fritz Haller always considered himself principally as an architect. Indeed the USM furniture system is the only notable furniture design project in a career dominated by institutional and domestic architecture work, a portfolio that includes schools, office buildings and industrial facilities. All the furniture he did design was in context of his architectural projects: a prime example being the USM Haller furniture. In 1961 Fritz Haller was commissioned to design new production and office facilities for USM in Münsingen, in addition he created some office furniture. 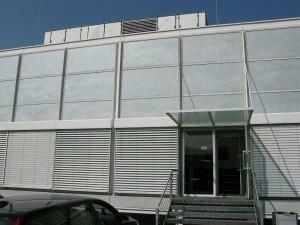 Office furniture that was to become one of the most successful modular furniture systems ever. Fritz Haller, architect and designer, died on 15 October 2012, in his home town of Solothurn, Switzerland. 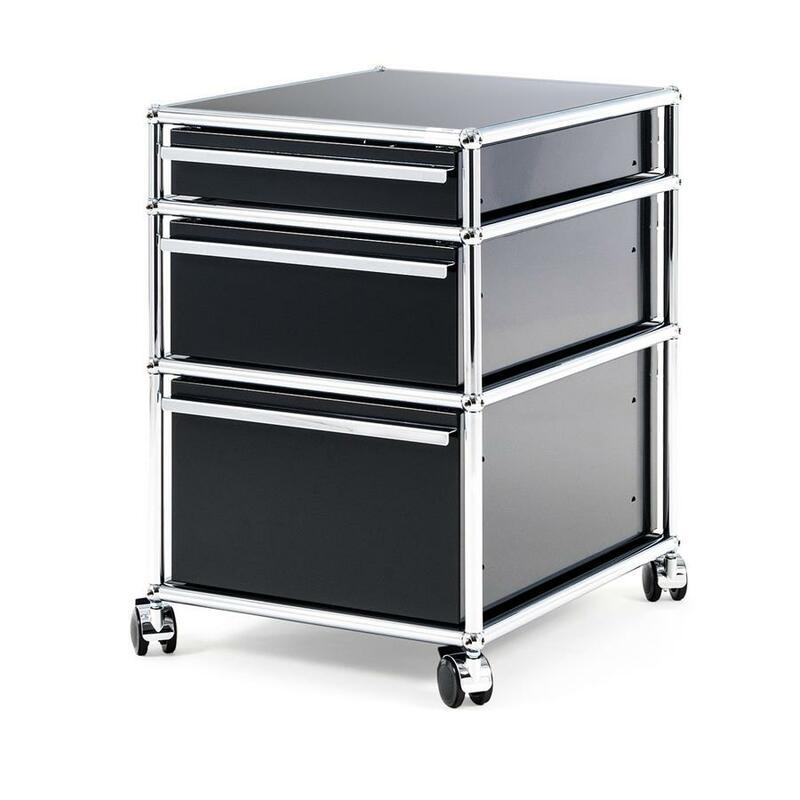 Based on just three basic elements, steel tubes, metal panels and a chrome plated brass ball the USM Haller system allows for the construction of various types of furniture:from simple sideboards up to complex shelf storage solutions and on to mobile storage solutions such as the USM Haller mobile cabinet with three drawers. This practical piece of USM office furniture fits perfectly into the design philosophy of the Swiss furniture manufacturer to provide universal, function oriented solutions. System USM Haller emerged at the beginning of the 1960s as an in-house project at USM; however, the furniture system designed by architect Fritz Haller has quickly become an established classic in the field of office furniture. The principle hallmark of the furniture is the modular character and minimal design, while the glossy surface of the chrome pipes and balls and the lacquered metal panels provide the elegant, timeless aesthetic so typical of USM Haller furniture. USM has had its company headquarters in the Swiss village of Münsingen since 1885. 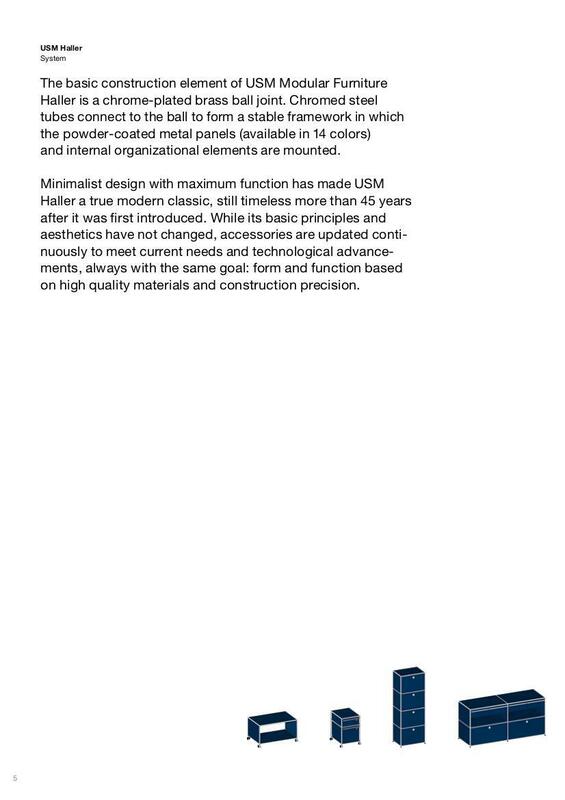 Since the launch of USM Haller modular furniture system in the late 1960s, the components have been produced in the firm's own facilities, including powder coating of the panels in the 14 standard USM colours. 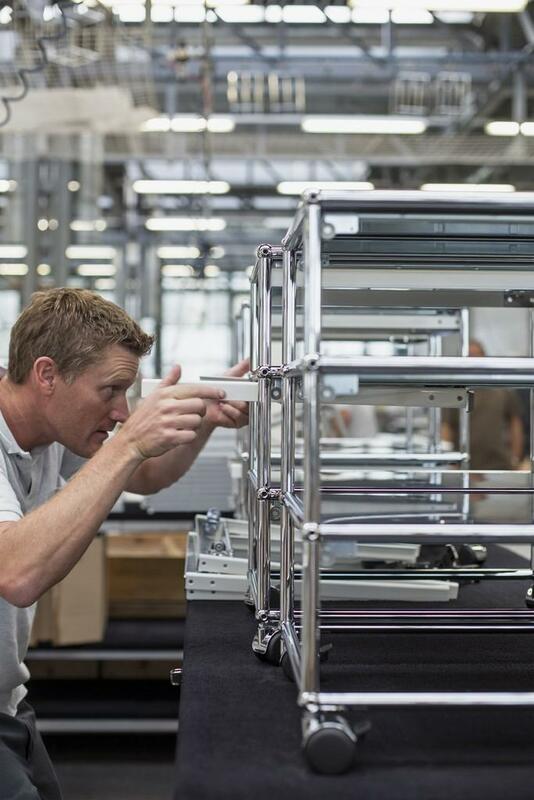 The individual components are then either assembled in Münsingen or transported to one of the companies national centres for final assembly. Through this production concept with a strong central focus the company can guarantee and maintain the high quality of their USM mobile cabinets, sideboards, highboards et al. Due to the systems high quality and versatility USM furniture is very durable and resilient meaning that, in principle, a piece of USM furniture need never be through out or replaced. Simply re-built and adapted as needed. In the period immediately after the Second World War architecture and design was dominated by functionalist principles. Principles which preached a rejection of objects offering a purely aesthetic design language and/or unnecessary embellishments. Modern technology, science and functionality were much more en vogue as the decisive criteria in the design and creation of objects of all kinds. This is also true for Fritz Haller's modular furniture system, a system that represents a function-oriented, reduced furnishing solution graced with a timeless elegance. 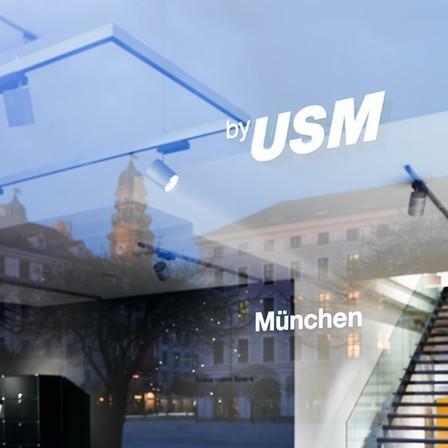 Like no other furniture design the USM Haller systems reflects the ideal ? ?of "form follows function". With its modular design concept allowing configurations to be created to match all situations and the ease of its mass production USM quickly became a favoured system. And has since become an established design classic.